What are the keys to successful outdoor survival training? There are a variety of methods you can use to learn more about outdoor survival. Here are some great ways to gain more knowledge and experience. Using books as a resource can be helpful. We are lucky to have many wonderful books out there to use as a source of knowledge on wilderness survival. Cody Lundin's book 98.6 Degrees is a good book that introduces the basic physical and psychological challenges presented by a survival situation. His focus is on using your knowledge and the assistance of modern tools to get yourself out of potentially life-threatening situations. Lundin is based in the southwest of the USA and is most known for his role in the television series "Dual Survival". Ray Mears' book The Outdoor Survival Handbook is an excellent resource which focuses on utilizing both modern and primitive survival skills and tools. The book is laid out according to what survival skills are needed during each season. The book is laid out very visually, containing many great illustrations and is somewhat less text than many other survival guides. Mears is a well-known bush-craft expert based out of England. He has traveled to various locations throughout the world to learn survival techniques from Native peoples. Michael Pewtherer's book Wilderness Survival Handbook is another excellent read, focused on primitive skills for both short-term survival and long-term comfort. Pewtherer makes these skills accessible and straightforward excellent descriptions interspersed with both photos and illustrations. He writes from personal experience and includes sections that mention common mistakes to avoid with a variety of skills. Pewtherer is based in the northeast USA. The challenge of using books is that they are only static words and images to learn from. A series of drawings or photos of how to set up a deadfall trap, start a friction fire, or build a shelter is enough for some. Meanwhile, it leaves others confused and feeling defeated. No matter how useful you find a book, it is very difficult to read and attempt to learn a new skill at the same time! If made properly, instructional videos can both inspire and educate. One advantage is that you don’t have to try and read a book at the same time as you try to actually do a skill. Another advantage is you may be able to watch a skill demonstrated from start to finish, as well as listen to someone describe it at the same time which utilizes more than one of your senses and allows better memory retention. Thomas J. Elpel's "The Art of Nothing Wilderness Survival Video Series" are great resources to check out. Elpel shares his knowledge in the skills through recording his experiences living off the land for several days in different locations. He demonstrates that these skills are accessible and can be done by anyone who is willing to learn. The videos are interspersed with humor and lessons on how to improve certain skills. Ron Hood's survival video series are additional great resources for outdoor survival training. Hood's approach includes both modern and primitive survival skills. His personal focus is no-nonsense, practical and based somewhat in his military background. He is a well-known and well-loved bush-craft expert. The challenge with any videos - even the excellent ones mentioned here - is that if you struggle and have a question not addressed on the video, there is no live person to support you or to answer your query. For real in-depth outdoor survival training, it is difficult to beat a good wilderness survival class. If you attend a class that has seasoned instructors, you can learn a great deal more than from books or videos. For one thing, you have a live person to ask questions and who can help coach you through the process of learning. You are able to pick their brain about very specific aspects of a skill. There are a variety of approaches to outdoor survival training that vary depending on your end goals. Which outdoor survival skills are you most interested in? What is your end goal(s)? Do you want to learn skills to be prepared for emergencies, or do you plan to utilize the skills you learn on a daily basis? Are you interested in only particular skills, such as: fire-making, shelter building, flint-knapping, etc.? How much time do you have to devote to your goal(s)? Questions like these can really help you narrow down your goals for outdoor survival training. 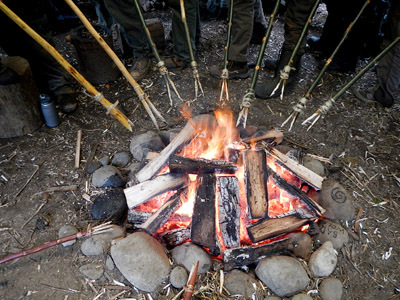 If you only have an interest in learning one or a few survival skills, then a one or two day course might be the best fit for you, such as the Wilderness Survival Weekend Course. For more well-rounded survival training, consider a week-long course. 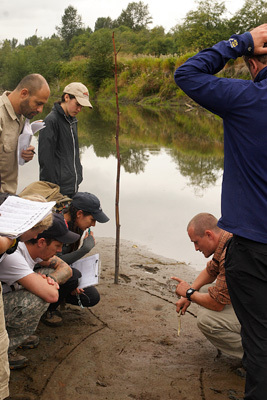 Finally, if you want a truly comprehensive knowledge of wilderness survival, consider committing to an extended program, such as a year-long intensive experience. A year-long program can help you learn and retain information more thoroughly through immersion into outdoor survival training for an extended period of time. There are so many layers to wilderness survival and so many different skills involved, that it takes commitment and time to gain confidence and real proficiency at the skills. To be truly confident with outdoor survival skills, you must be willing to commit your time and focus to long-term learning. What better way to do that then with the support of experienced instructors? For articles on outdoor survival from others check out Wildwood Survival. 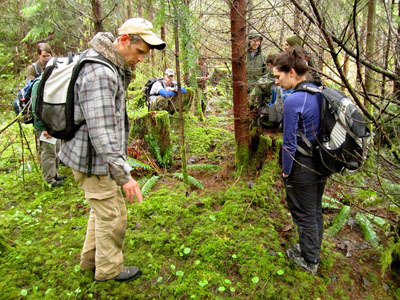 For training in survival skills, check out our Wilderness Courses.